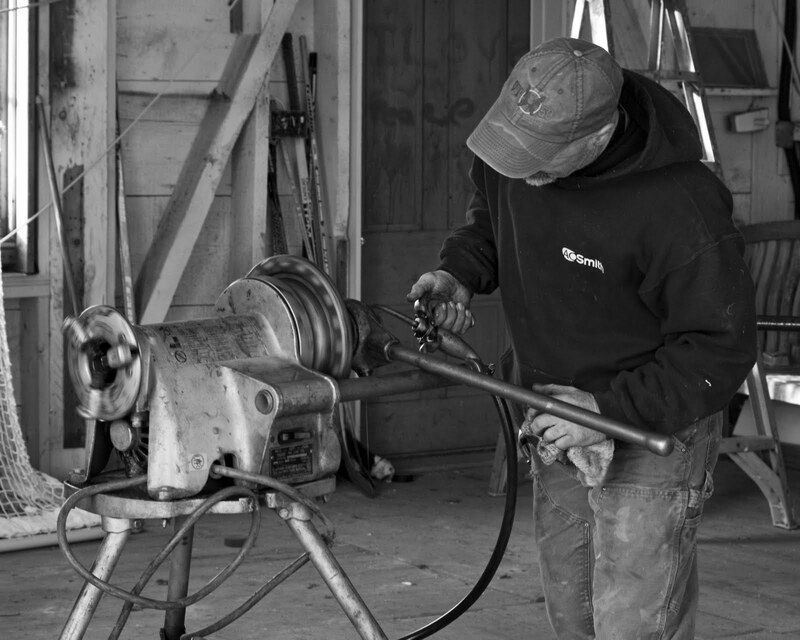 Howie the Plumber has been working diligently at bringing our old barn into the modern age. The addition of running water & bathroom facilities out there is going to be HUGE. Howie the Plumber looks like a real propeller head. Is he sharpening his plunger? ?